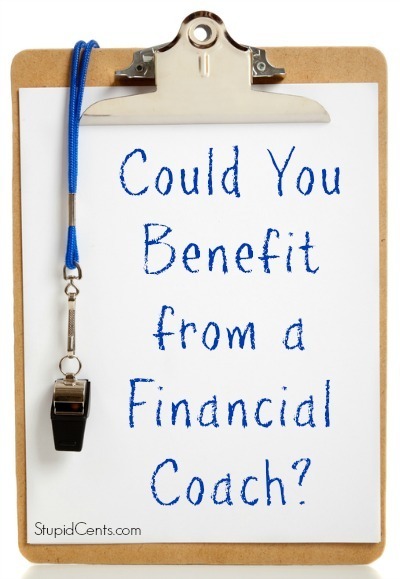 Could You Benefit from a Financial Coach? Sometimes, making the right decisions about finances becomes overwhelming. There’s so much you need to do if you want to get your finances in order and grow your wealth. You need to get out of debt. You’re supposed to save for retirement. You need an emergency fund. Investing is crucial. Plus, you want to be able to enjoy yourself on occasion. How do you get the money for that? Trying to sort through it all is a daunting task. Many people start to shut down after a while, unable to continue, and unable to make the decisions required for better finances. The mistake many of these folks make is believing that they somehow have to figure it out on their own. The reality is that you don’t have to figure out your finances on your own. You can get help from a financial coach or mentor and learn how to develop a healthy relationship with money, as well as how to put that money to work for you in the best possible manner. A financial coach can provide you with insight into your own finances, as well as insight into the way your personality handles money. This is important when it comes to making better decisions about money, and it can also help you sort out which investments are worth making, and which should be left alone. Outside View: First of all, it can be tough to really see what’s happening with your finances when you are so close to the situation. A financial coach can provide you with an outside view. You can learn truths about your interactions with money, and gain insight that can then be used to help you make changes. Expert Guidance: A financial coach is someone who has been through training, and who has learned how to handle these money situations. You can receive expert guidance about how to start a savings plan, which investments can help you build long-term wealth in your retirement portfolio, and how to pay down debt. New Way of Looking at Money: Your financial coach can also guide you as you look at money in a new way. Part of the problem you are likely to have with your finances is the fact that you don’t have a good relationship with your money. A financial coach can help you develop a more positive relationship, and look at your money in a new light. Working with a financial coach can also help you become more inclined to remember the “big picture.” Your financial coach can help you put together a financial plan that works for you — and keep you on track. It’s easy to forget the main goal, or stick with the big plan when all of the little issues that crop up in day to day life are holding you back. A financial coach helps you stay focused on the big picture, and reminds you of what’s really important.